It’s time for yet another Teacher Tuesday! This week, I’m sharing a new project that I started with my class a couple of weeks ago. I thought it would be fun to have my students chronicle their thoughts and reflections over this semester in journals. They’re 4 and 5 and not able to write yet, so our journals are art based. At this point, there are only a few entries, but I’m quite proud of the thought my students are already putting into their drawings. Let’s take a look at a few pages! The first entry in the journals was a self-portrait. 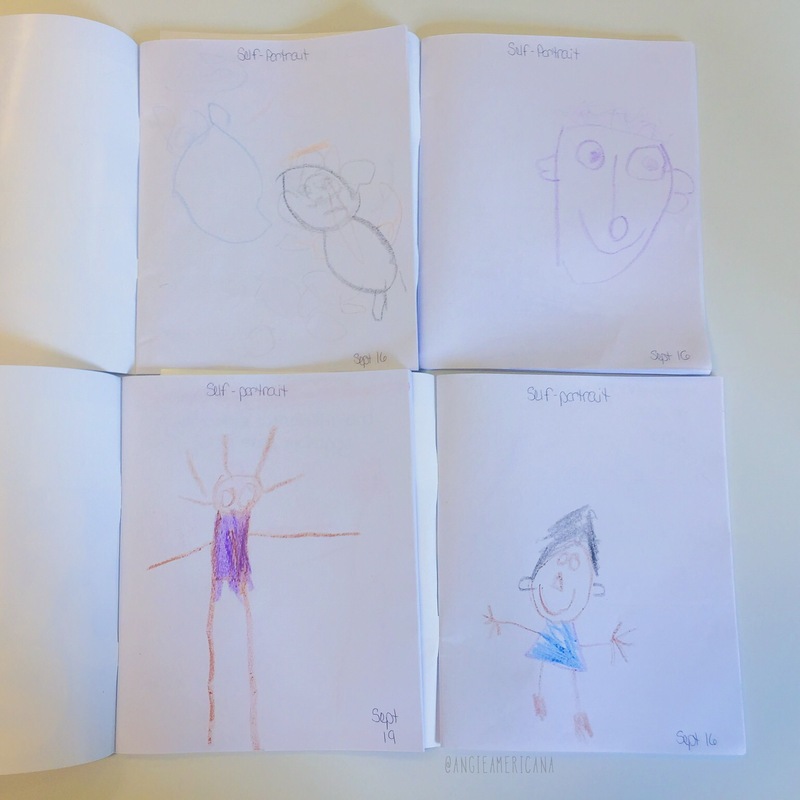 All of the children seemed incredibly excited to have to book that was all their own, so I thought it was best to make the first page a place for them to document how they see themselves. The next entry in our journals was based on a discussion we had during circle time. This semester, we’ve been talking about feelings, and happy was the focus that particular day. We brainstormed together to come up with some examples of things, events, and instances that could make us happy. Then, at the journaling table, the students were able to draw a moment in which they felt happy. They described the moment to me, and I wrote the caption on the page. All of my students excitedly drew their happy memories, and they were so eager to share them with me and each other. Since then, my class has also drawn entries reflecting on times they were sad and angry. I’m really looking forward to sharing the journals with their families next month when we have Parent Teacher Conferences. 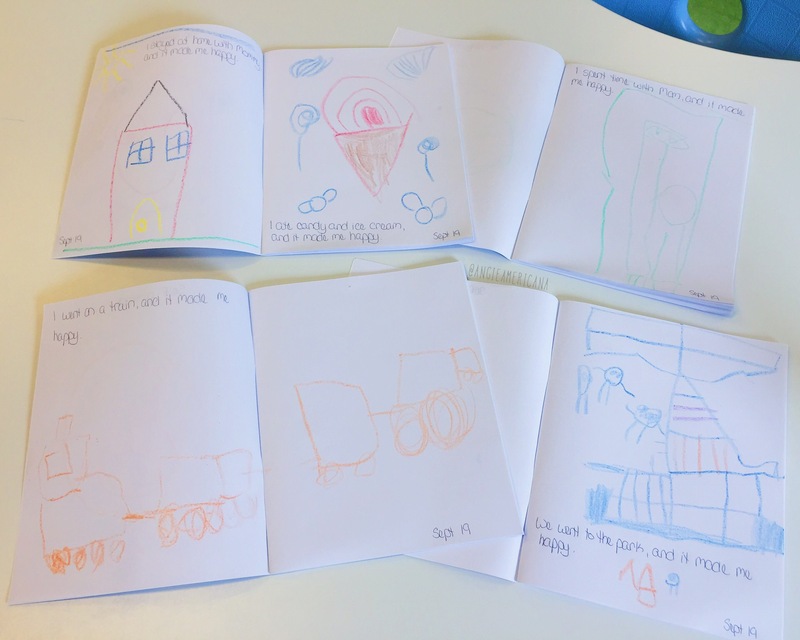 I’m pleased that my class is enthusiastic about their journals, and I can’t wait to see what they draw over the next few weeks!